Ford have always been masters of marketing. The 2.0 litre Consort edition of the Mk2 put the main features of the imposing Granada within reach of the average motorist. Myles Gorfe considers this neglected classic. What was great about the Granada was, above all, its space. The 1981 Granada Consort offered that but without the hefty fuel bills associated with the Blue Oval’s powerful but thirsty V6s. For many people this sealed the deal, allowing them to enjoy the Granny’s comfortable seats and renowned handling but without too many extra trips to the Esso station. 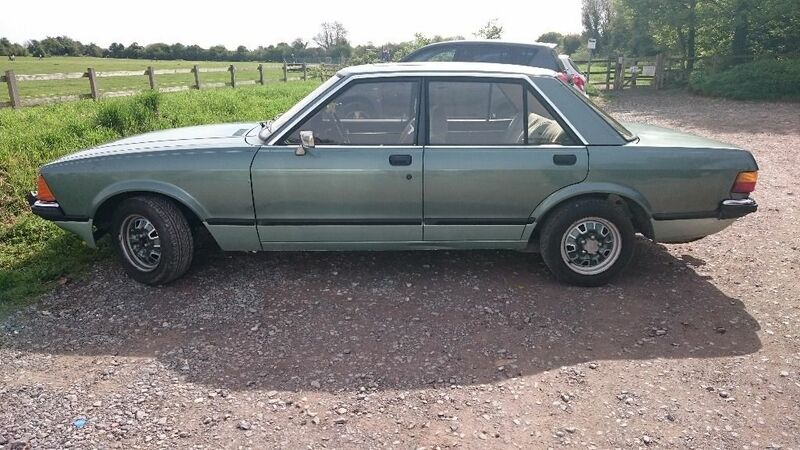 Neighbours would have admired the wood-effect trim on the modern dashboard and the club-like ambience of the green two-tone cloth which was one of the selling points of the Consort edition of this Granada. If you liked you could also get a 2.3 litre V6 version which meant retaining the stylish trim and pushing the boat out a bit when it came to refilling. What really distinguished this near-luxury barge from its less impressive competitors was the equipment that came as standard. Volvo, Mercedes, Renault and Peugeot either charged a lot more for the same items or didn’t offer them at all. Renault only sold the Spartan R20 with its front-drive set up (just a big hatchback really). The Mercedes 200 could barely move under its own power and was as bare as a Turkish prison cell inside. Peugeot’s 604 was lumbered with its exploding PRV engine and reliability problems that frightened dealers and customers like nothing else. And Volvo’s ageing 240 could not touch the Granada Consort’s handling or space. 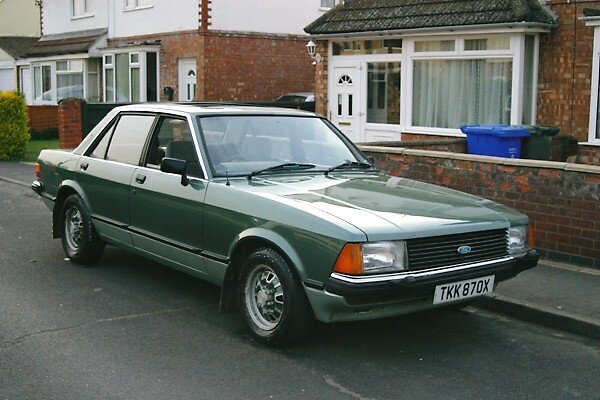 Little wonder that the Consort was one of Ford’s most successful special editions in the early ’80s. If you want to get your hands on one, try this link. I recognise the photo, I took it. That consort was the manual left on the road, till the owner mated with a tree!!!!!! That was a pity about the car.